Prices checked within the last 7 days on 24/04/2019. 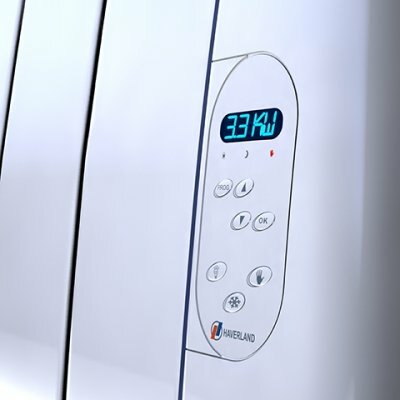 Meet the brilliant Haverland Designer RC10TT wall mounted electric heater. Moving away from conventional central heating systems, the 'Designer RCTT' range is the way forward, using 'clean technology' to keep your interior decor stain, soot and dust free. 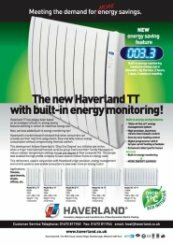 The Haverland electric heaters has an innovative new function, a built-in energy monitor, which allows you to make significant savings just by reducing the temperature settings by one or two degrees, making it a hugely popular choice. The service and delivery was excellent. The website was very informative and the ordering on line was so easy. The radiators are now installed which was easy and having the comfort of a 10 year guarantee is great peace of mind. Thank you very much for taking the time to review our ordering system, delivery and customer service as excellent, we appreciate the fantastic feedback. That is really great that they are heating so effectively, thank you for your review. This heater is every thing it said on the tin. Quiet, efficient, easy to enstall, programmable and very very smart. The heater shop web page is very informative. The heater we purchased is everything we wanted, for example. Quiet, programmable, easy to fix to the wall and very very smart. Thank you for taking the time to review us as excellent, we appreciate your comments regarding our informative web page greatly. That is great to hear, thank you for your fantastic review. 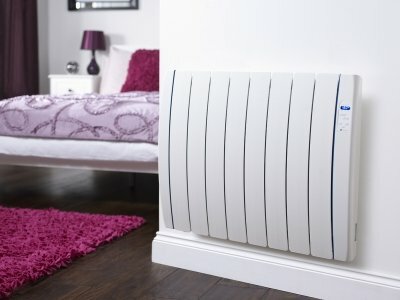 I had absolutely no experince with electric radiators, but having just brought a house with ancient storage heaters it seemed like a good way to go. The haverland designer radiators look really great In our living room, and also does it job by heating the room surprisingly well! They were easy to wall mount and can be plugged straight into the wall if you don't want to get enough electrician out. What I'm really impressed with though is the way you can set your own custom times and temperature ranges for different times of day and evening, and even set two patterns for weekdays and weekends. The only thing I can't comment on how economical they are because I haven't had my first electricity bill yet! I went with heater shop because they were local-ish, and having absolutely no experience of using electric radiators meant this seemed like a good way to go. The website is really helpful and so were the staff we spoke too over the phone. Thank you very much for reviewing our service as excellent. I'm really pleased that we were able to advise you, ensuring you got the best towel rails for your requirements, and that you are happy with your new Haverland RCTT designer electric radiators which are performing brilliantly. Fantastic, thank you for your review, we are really pleased that you are super happy with your new Haverland RCTT designer electric radiator. 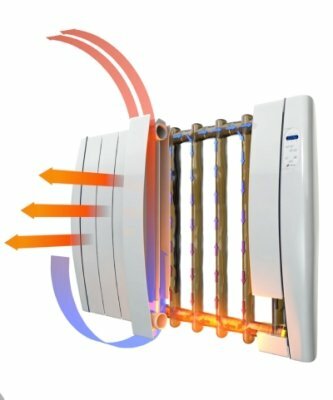 Heater is easy to install, easy to set and provides good all round heat throughout the day and night. 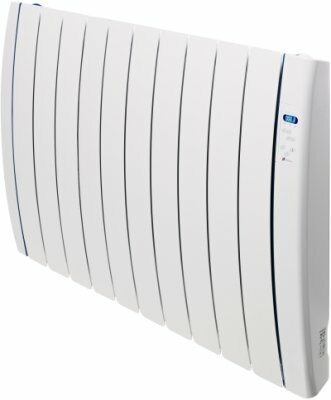 Would recommend this heater, as used to have storage heater and replaced it with this heater. I made a mistake with the delivery date when I placed my order and when I telephoned to see if it could be changed to next day delivery, was told that this may not be possible as the order had been processed and it was quite late in the day on a Friday, but they would see what could be done. Later that evening, I had a text message stating my items would be delivered the next day, and they were delivered early Saturday morning. Thank you for reviewing our service as excellent, we appreciate the positive feedback. I am really pleased that we were able to resolve your delivery mistake and deliver the next day - that is fantastic. 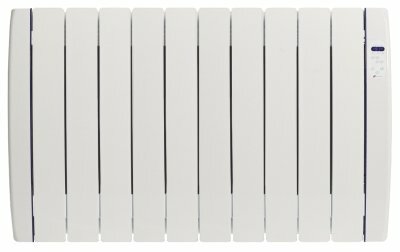 Very good radiators. Built in programme selection makes installation & programming simple. Much better than the Wave models we have which are a pain to try & program. Efficient & economical and look great. 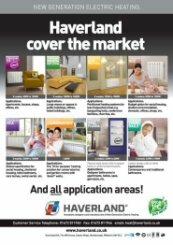 Thank you for your excellent review of both our service and the Haverland RCTT designer electric radiator. you want the best you pay a bit more. first rate radiators our flat lovely and warm good. Thank you for your excellent review of both our service and the Haverland RCTT. Very quick delivery, good quality item and a great price. 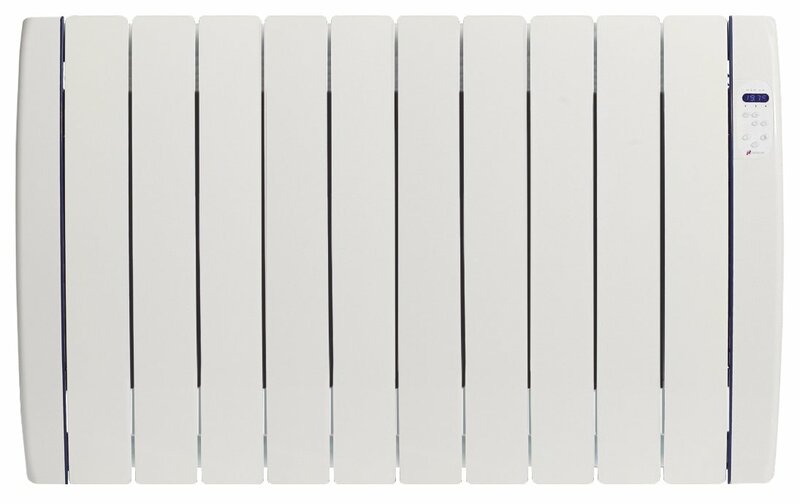 Thank you for your feedback and excellent review of the Haverland RCTT Designer Electric Radiator. Simple to install and operate. Provides great heat, quickly and looks good. Product description and details, ordering process, confirmations, delivery updates and delivery completion. All good and gave me confidence that I was dealing with a secure and service focused Co. Oh and the price was the best at the time for the product. Thank you for your fantastic feedback. Great service is paramount and I am very pleased that we are able to offer you excellent customer service. Our delivery service is always being improved to exceed expectations and we love to hear that our attention to detail really benefits our customers, thank you for your great comments. Good quality, nice looking and keeping a nice comfortable temperature in our annexe. Really great to hear such fantastic comments, thank you. It seems to use quite a lot of electricity but this is probably to be expected. Good efficient dispatch and delivery. Thank you for taking the time to leave great feedback. Fantastic service, next working day delivery. One hour slot delivery message in the morning. Great packing. Follow up message. And they had the best price! Thank you for your review, we really do appreciate it. Great Service, delivery and follow up, with competitive pricing. Would recommend to others. Thank you very much for your excellent review and recommending us. It s does the job. The Haverland RCTT certainly does do a very good job, and I am very pleased that you are so happy with your purchase. Thank you very much for you kind review. If you need any further information or assistance please do not hesitate to contact us. If you need any further assistance please do not hesitate to call us on 01473 276686. It heats the room up which is pretty much what I expected it to. Thank you for your great review. If you need any further assistance please do not hesitate to contact us. Thank you for your great feedback and we look forward to assisting you in the future. So easy to fit with the template supplied. Easy to programme and very efficient. Extremely helpful staff when ordering on the phone and the service was fantastic. Arrived when they said it would, most impressed. Thank you very much for your kind review. We are more than happy to help all of our customers with any queries to ensure that you get the best product available. If you need any future advice or assistance, please let me know. Easy to install and program. Open the box, drill 4 holes in the wall, insert rawl plugs, screw brackets to wall, hang radiator, plug it in and you are done. I love the ability to see how many kw the radiator has used since installation. Looks very nice and modern and is a great replacement for our old electric storage heater. Thank you for rating our service and product as both excellent, we appreciate this very much. If you require any future assistance please let us know. Thank you very much for your feedback. 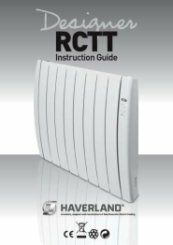 The Haverland RCTT is certainly a great choice as an alternative to storage heaters.